Merry Christmas to all from Surf City, North Carolina. John R Horner Jr.
Why responsible American should vote for Clinton? Sarge, I did not mean I agree with what David Wozniak said. I only meant that as an American citizen, (I am assuming he is, but we know what assuming will get you) He has a right to his opinion, and I respect his right to say what he wants. I agree with your position. I voted for President elect Trump, but only once, unlike a lot of Democrats. If you are a veteran, I thank you for your service. Sir, I respect your position. But I think you are wrong. Hillary Clinton has pissed on our constitution. She has lied under oath to the Congress of the United States of America. She is so contemptible, she believes the law of the land does not apply to her. She has given away the taxpayers money to our enemies. She sold herself while she was Secretary of State. She cheated and lied her way up the Democratic ladder leaving the bodies of anyone that opposed her behind. America has spoken. We are mad as hell and we ain't going to take it anymore. We are tired of being lied to, cheated, robbed by the Democrats. We are tired of being ignored. Our will has been established. We will welcome anyone into this country. Live your life. Pray to your god. But DO NOT ATTEMPT STEP ON THE CONSTITUTION. Don't try to force me to worship your god or push me to conform to your idea of what an American should be. WE WILL PUSH BACK! That is about the way I feel too Patriot. Thanks for posting the link. I have been thinking about a ham radio license. I support Donald Trump for president of the United States of America. The alternative will be disastrous for the Republic. I don't have a real bug out bag. Mine is a plastic grocery bag. I would love to win this one. I have a cheaper Gerber folding knife. This one looks great! I want this. Looks very useful. Love this gift pack. 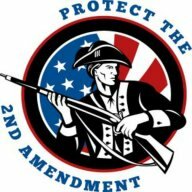 Thanks to MyMilitia.com for a great patriotic website. Love it! Great bugout bag. Love the flag! Nice selection! I would love to win this! Good luck everyone! Would love to have this bug-out bag. Thanks for the chance. Hello, Thank you for allowing me to be a member. Hi David, nice to meat you. I hope you are well. Thank you for responding. Maybe we can talk sometime. Good luck everyone. I really need this good looking bug out bag. Nice piece! I would love to win it! Hello, My name is John R Horner, Jr. I live in Surf City, NC. Married to my soul mate, Donna for 41 years. Love to fish. I believe the 2nd Amendment to the Constitution of the United States of America, guarantees the rights of the individual, not the state. In 1776, the "militia" was NOT under the control of the state or anyone else. The "militia" was a group of patriots, believers in the freedom of religion and the rights of the people. They were ordinary citizens, not members of any organization, but just friends and neighbors that knew to preserve the freedom they had just found in the new world, they would have to be ready to fight for their rights. The militia were ready to fight at a moments notice, and fight they did. "Freedom is never more than one generation away from extinction. We didn’t pass it on to our children in the bloodstream. It must be fought for, protected, and handed on for them to do the same, or one day we will spend our sunset years telling our children and our children's children what it was once like in the United States where men were free." quote by President Ronald Regan. I am ready to defend my right to bear arms, and the Constitution of the United States of America.